Get the Exclusive Captain America T-Shirt at the Official Shop of Marvel, MarvelShop.com! 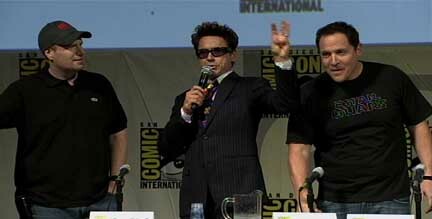 Marvel Studios trotted out its big movie for 2010, Iron Man 2, at a Comic-Con International panel on Saturday afternoon. For live highlights from the panel, CLICK HERE. Look for post-panel interviews soon here in The Continuum. At its Comic-Con International panel on Saturday, Aspen Comics announced a deal with Gale Anne Hurd's Valhalla Motion Pictures that includes a feature film based on Soulfire. Calling Soulfire a "remarkable blend of science fiction and fantasy," Hurd said, "We want to bring magic back to the world." J.T. 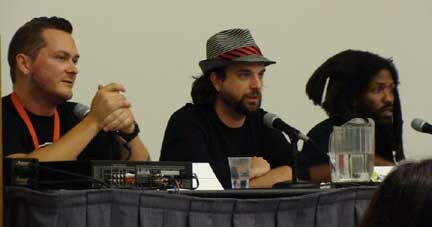 Krul's first creator-owned book, Mindfield, was announced on Saturday at Aspen Comics panel at Comic-Con International. The Continuum talked to Krul for the first insights into the series. As part of its panel at Comic-Con International on Friday, Marvel Animation provided a first look its upcoming anime series. To view the Iron Man trailer, CLICK HERE. To view the Wolverine trailer, CLICK HERE. Marvel is teaming with renowned Japanese animation studio Madhouse for the TV series, which are scheduled to launch on the Animax channel in Japan next spring. Warren Ellis has been tapped to oversee the writing of the shows, which reimagine the Marvel characters for a Japanese audience. 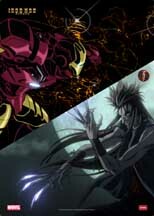 Ellis revealed the Marvel anime lineup; following Wolverine and Iron Man will be X-Men and Blade. He noted that the trailers shown were test animation and don't necessarily reflect the story content of the shows. "Iron Man is set in Tokyo and is very much about an unexpected clash of cultures and also a lot of history, the history of weapons design in Japan and America," Ellis said. Wolverine will essentially be adapting the Frank Miller/Chris Claremont run, Ellis added. Marvel Animation on Saturday announced that the Marvel Super Hero Squad show will premiere on Cartoon Network on Saturday, Sept. 19. The series will debut with a four-episode marathon. Episode will begin airing Monday-Saturday beginning Monday, Sept. 21. No time slot has been announced, but Marvel Animation's Eric Rollman said the show will likely air between 6-9 a.m.
* Stan Lee, who plays the Mayor of Super Hero City, will say the show's very first words. * Mike Kelly is providing the voices of Silver Surfer and Iron Fist. * Titles cards for the episodes will play homage to classic Marvel Comics covers. * An episode will feature, though Enchantress' machinations, Ms. Marvel and MODOK falling in love. * Look for more much on Super Hero Squad soon here in The Continuum. 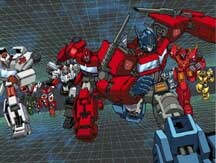 IDW Publishing unveiled three news Transformers series at Comic-Con International in San Diego on Friday. The Transformers, the first ongoing series in years, will be written by Mike Costa with art by Don Figueroa and will launch in November. According to IDW the first issue will feature "not one, but two, huge events." "This is the first ongoing Transformers series for IDW, and there's a good reason to do it now," said IDW editor Andy Schmidt. "These stories are too big and too important to contain in even several volumes of miniseries. And it all starts with events in Transformers #1. This is the best jumping on point for new comics or Transformers fans in years. We're embarking on a whole new journey and an exciting new direction." Spinning out of the ongoing series will be two new mini-series. Transformers: Bumblebee will be a four-issue mini-series by writer Zander Cannon and artist Chee that launches in December. IDW says that the series will put Bumblee "between a rock and a hard place with his own friends." 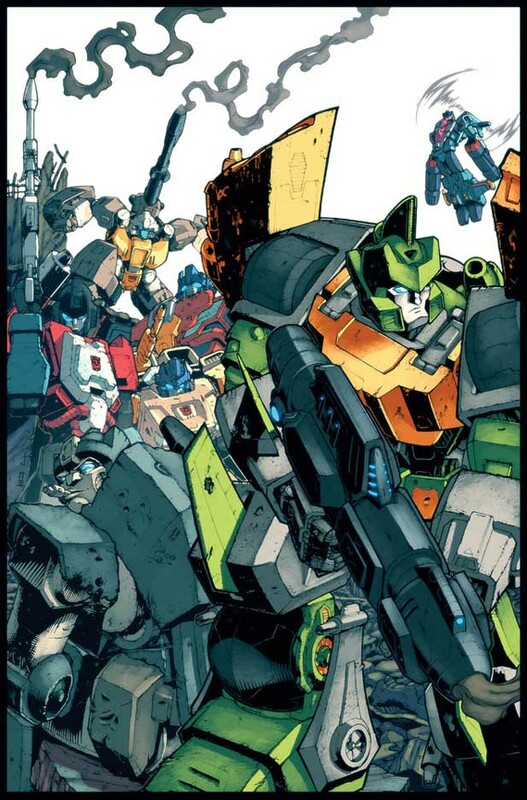 Transformers: Last Stand of the Wreckers, from Nick Roche, plots the course of the Autobots in space as they confront a new foe. Kristen Bell, who provides the voice of Cora in the Astro Boy in the upcoming CG-animated film, said her character has a lot of layers. "She has a really tough exterior, and she's kind of hurt and a softy on the inside," Bell said in a roundtable interview. "And they actually explore that in the movie and you understand her point of view and where she's coming from." Radical Publishing has announce that Darren Bousman -- the director of Saw II, Saw III and Saw IV, -- is attached to write and direct Abattoir as a feature film, based on the upcoming comic mini-series developed by Bousman and writing-producing partner Michael Peterson. Abattoir will be produced by Radical�s president and publisher, Barry Levine and executive produced by Radical�s executive vice president Jesse Berger and Bousman. "Abattoir chronicles real estate agent Richard Ashwalt who is assigned the impossible task of cleaning up after a brutal massacre that takes place at a mansion. As he cleans the blood-soaked grounds, a twisted old man journeys to the house with a sinister and terrifying purpose, and draws Richard into a web of shadows, murders and massacres that will shatter him to his very core...and make him run for his life." "I am addicted to haunted house stories,� Bousman said. "I love them... My addiction to this genre became an obsession to create one of my own. Abattoir is my spin on a haunted house story." "Darren has crafted a thrilling horror story and we are excited to have him both debut a preview of the cover art at San Diego Comic-Con and have him adapt the film," Levine said. Barack the Barbarian, a possible Sheena movie and a new series from rapper Murs were among the highlights at Devil's Due Publishing's panel at Comic-Con International. For a rundown, CLICK HERE. * Wednesday, July 8: Colbie Caillat in Veronica, Jonah Hex animated, Zenescope's Comic-Con titles, Aspen Comics First Looks, Dark Horse Comics First Looks and Archie Comics First Looks. * Tuesday, July 7: IDW to publish Archie collections, Colbie Caillat in Veronica, Vampirella, Witchblade's Ron Marz, Marvel Comics First Looks and BOOM! Studios First Looks. * Monday, July 6: Marvel Comics roundup, Marvel Comics First Looks, Bluewater Productions' Tom Corbett: Space Cadet and Batman: The Brave and the Bold. * Sunday, July 5: The Spectacular Spider-Man. * Saturday, July 4: The Spectacular Spider-Man. * Friday, July 3: Marvel Comics First Looks and DC Comics First Looks. * Thursday, July 2: IDW Publishing First Looks, Image Comics First Looks and Arcana Studio First Looks. * Wednesday, July 1: Marvel Comics First Looks, Archie Comics First Looks, DC Comics First Looks and Dark Horse Comics First Looks. * Tuesday, June 30: X-Men animated DVDs, Marvel Comics roundup and Marvel Comics First Looks. * Monday, June 29: Bluewater Productions for October, Michael Jackson tribute comic, Marvel Comics First Looks, Red 5 Comics First Looks and Image Comics First Looks. * Sunday, June 28: The Spectacular Spider-Man and BOOM! Studios First Looks.